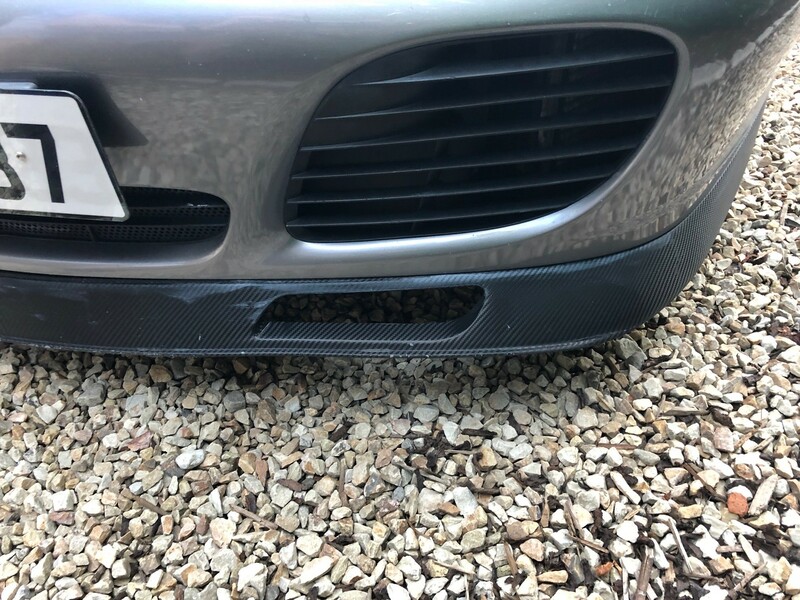 I am selling my factory installed 996 C4S Aerokit including front spoiler/splitter. The rear spoiler/engine lid is in original seal grey. There is no damage at all. 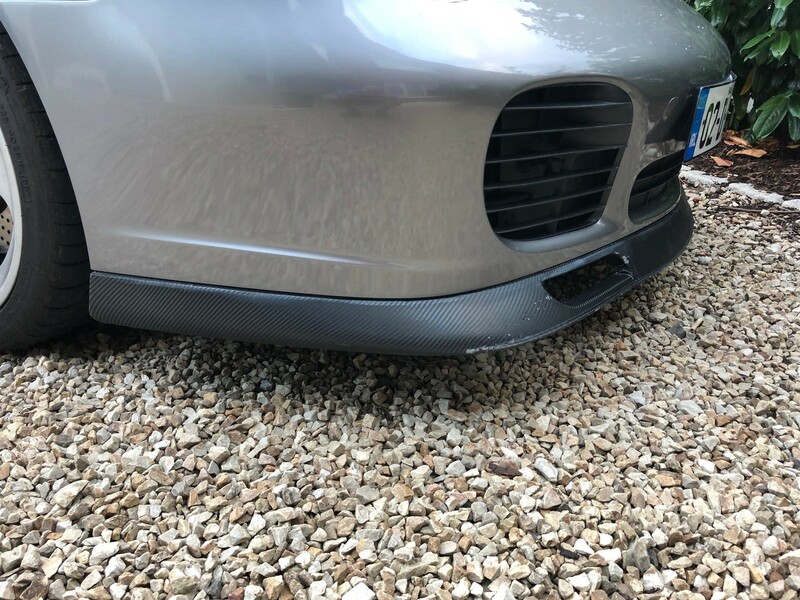 The front splitter (996 505 986 01) is factory colour matched that has a carbon wrap on it. 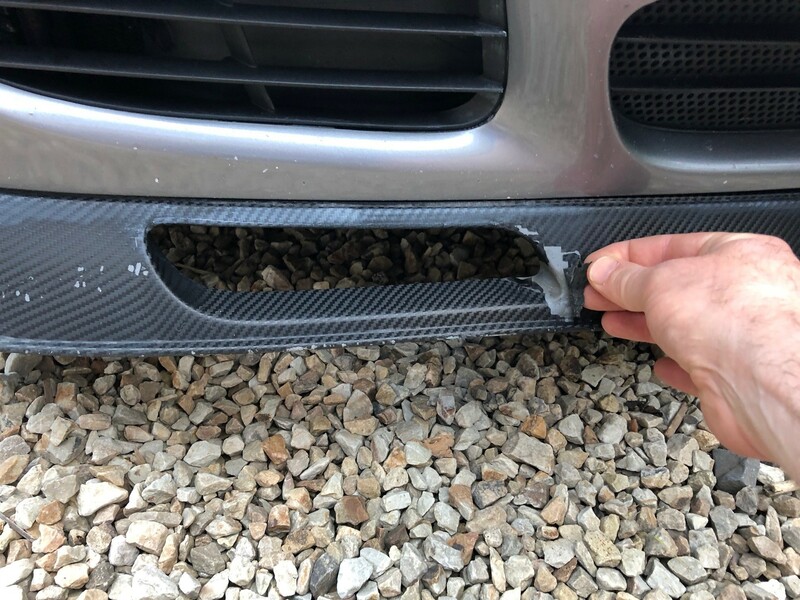 Other than the tear in the wrap, there are some day to day scuffs on the lower side of the splitter, but the integrity of the splitter is not compromised. Porsche do not recommend fitting the rear without the front. 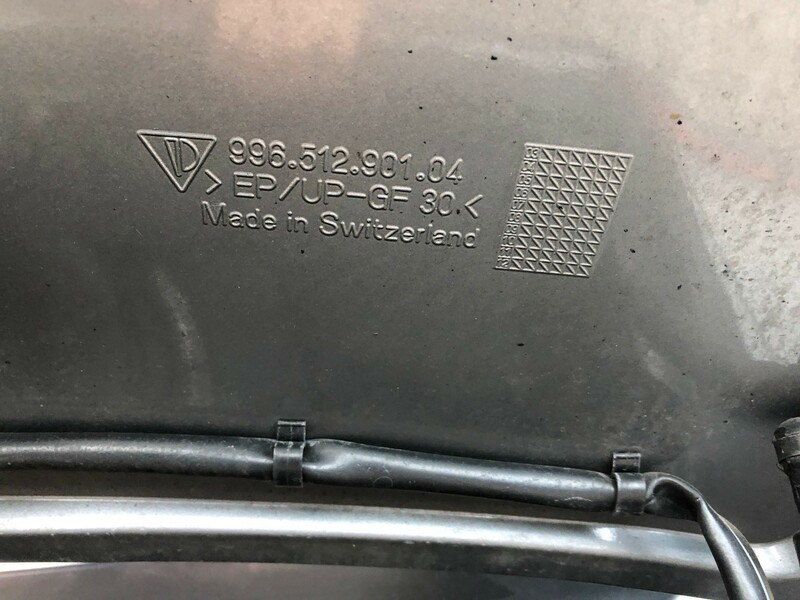 The Part number per the photo is 996.512.901.04. 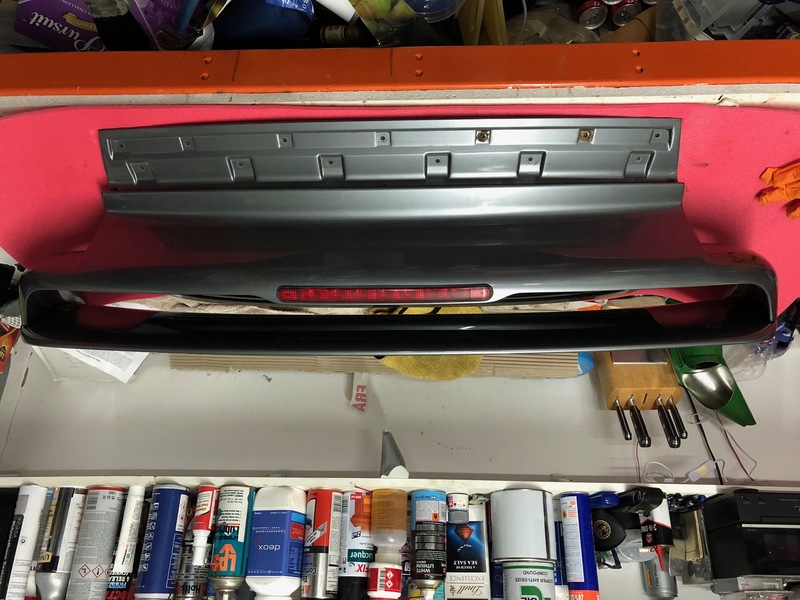 It comes with the brake light installed and the full wiring loom for the fan and engine bay light – but without the fan/engine bay light assembly. This will have to be transferred from your existing engine lid (3 bolts). It also comes without the red reflector and the lock receptacle, which will also transfer off your existing lid. Allow about an hour to do the work. This is an expensive bit of kit. To ship it, I will have to build a proper shipping case where it can be secured using the hinge and lock receptacle mount points. I’m then going to have to encase it in expanding foam. That will take time and cost money and increase the shipping cost. Even with that, sods law will determine that it gets dropped by the shipping company and even though it will be insured, there will be lots of hassle and the buyer and myself will fall out/loose out. I don’t need the grief or the bad karma. Even when bring my standard engine lid on a flight back from Leeds a few weeks back, packed by myself, wrapped in so much bubble wrap and card board it could have been dropped off the top of a building and survived, it still arrived with a crack on the corner. So, I’m thinking I’ll deliver it in person, either reinstalled on the back of my car for the journey, or preferably in the back seat, or I’ll take the passenger seat out. I will be limited as to how far I can drive in the UK as I don’t have a lot of time, so maybe the buyer can meet me half way. I could assist with the installation of the Rear deck lid (time permitting). I won’t be getting involved in removing bumpers to fir the front! Happy to discuss with the buyer. As I have a large young school going family, I am limited on what days I can travel. I can’t travel on weekends. but would plan to deliver it within 2 weeks – most likely on a Tuesday or Wednesday. Again, I am happy to discuss/make arrangements with the buyer. I will post photos below and can send more via email. Please PM me. Price £2,850 delivered and rear lid/wing installed where possible. Payment via paypal. I edited the post above to remove reference to needing tell the car the automatic spolier is not installed. 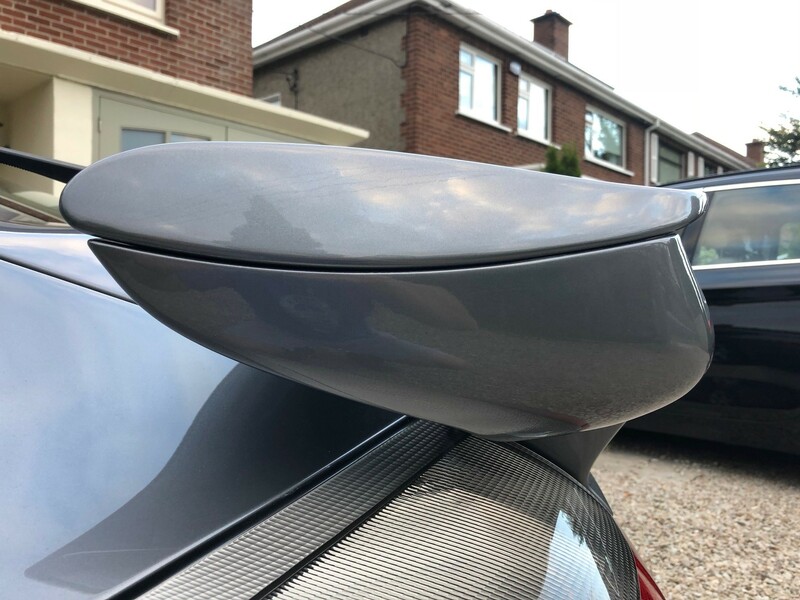 I have just driven my car for the first time since fitting the standard lid and the spoiler deployed automatically at 75mph without haveing do any programming. 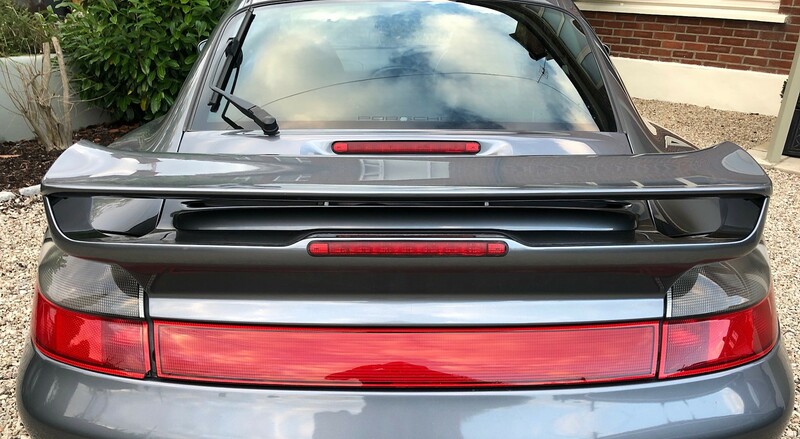 So - when the buyer installs the Aerokit, there is no requirement to deactivate the spoiler system. They Aerokit wiring loom takes care of it seemingly. Just out of curiousity, why did you convert back to standard? What are you asking for the rear spoiler ?